Former NHL forward who became head coach of the Ottawa Senators in 2011. He played for the St. Louis Blues, Winnipeg Jets, and Detroit Red Wings during his 11 years in the NHL. He won the Jack Adams Award for the NHL's top coach in 2013. He has three children, A.J., David and Erin, with his wife Sharon. 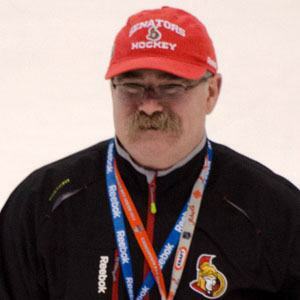 He began coaching All Star Daniel Alfredsson on the Senators in 2011.